Last year, in a post about historic revisionism, I made a passing remark about inaccuracies in the musical Hamilton. 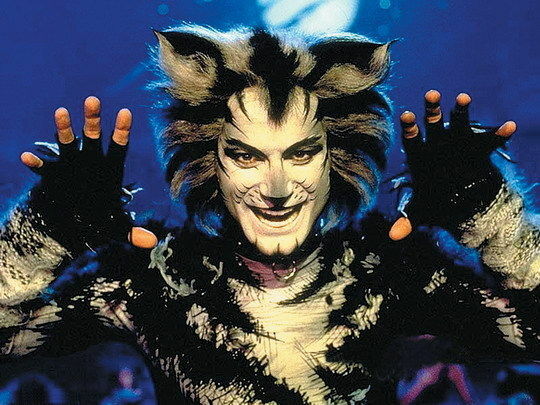 I love the musical Hamilton. Love it. 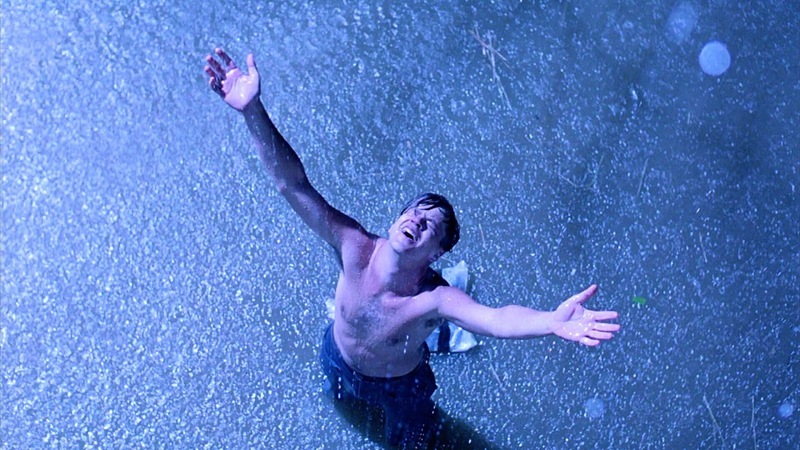 It's one of my go-to, feel-good soundtracks. But like most musicals it required a little bit of tweaking to get the perfect story arc. This isn't a uniquely Hamilton trait. The King and I is a musical based on a novel based on some memoirs and God knows that they changed a lot. Annie Get Your Gun is also a heavily fictionalized work based loosely on the life of Annie Oakley, a sharpshooter orphan who escapes from Miss Hannigan's Home for Girls by joining Daddy Warbucks's Wild West Show. Cats had some minor inaccuracies about cats. 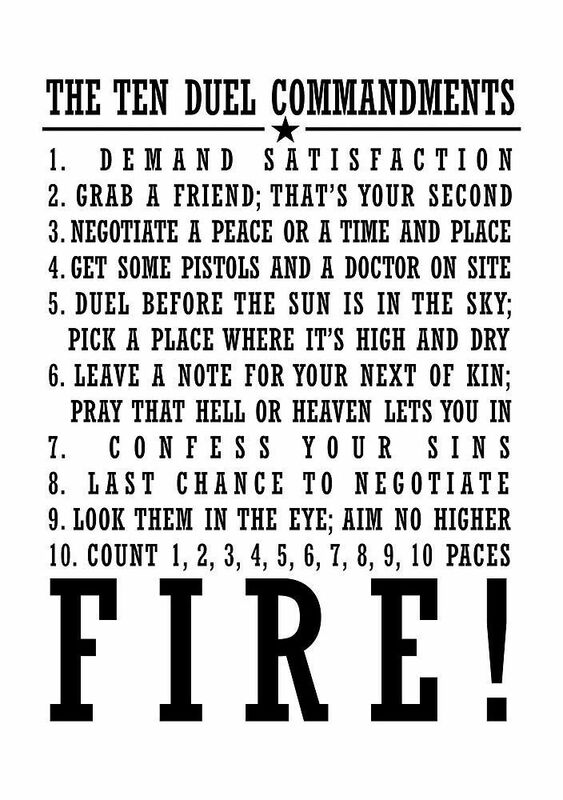 Anyway, for all of the various inaccuracies that Hamilton has, the one I referenced was "The Ten Duel Commandments." This isn't a real complaint because there's no ten duel commandments and also this is one of the best songs in the musical. But it might interest you to know that Ireland, at least, did have twenty-five rules for duels. And in fact nearly every culture has had some sort of duel system. The concept of two people getting so angry at each other that they resort to an actual feral fight makes sense to me. That sounds natural. That sounds like something all animals do. But humans invented rules for getting blood-lusted and fighting to the death. Which is funny, if you think about it. We are the most extra species. 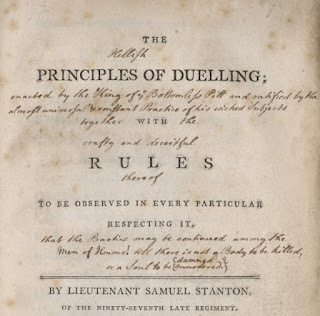 Dueling is older than you think. It evolved from the practice of single combat, which is the practice of having two people fight instead of an entire army or faction. You might remember the most famous of single combats as David and Goliath. 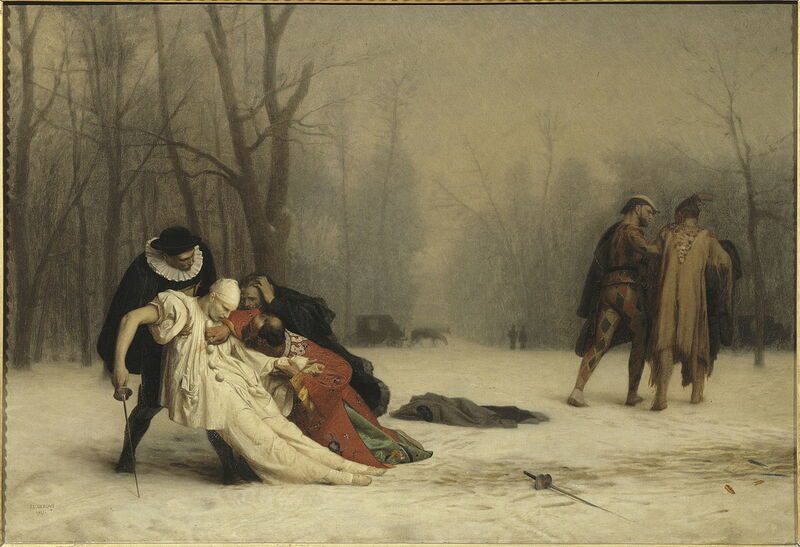 Dueling with pistols probably came about as early as the 1300s or 1400s. (The first recorded use of a firearm was in 1364.) Pistol dueling erupted in popularity in the late 1700s, when dueling pistols became standardized. 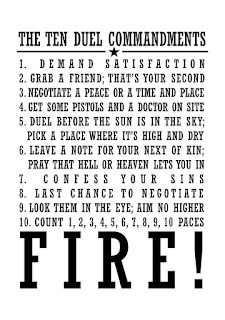 Around the same time, in 1777, the "Twenty-Five Duel Commandments" came out of Ireland. This code was to be kept in a gentleman's pistol case. The fact that anyone carrying around a list of rules for killing another man was called a "gentle man" is hilariously ironic. In the course of my research for this article, I found myself dragged into multiple cultures' honor-based single combat traditions. Shout-out to the Scandanavian hólmganga and the Sasanian mard ō mard, as well as to the King Naresuan of Siam and the crown prince Mingyi Swa of Burma, who engaged in single combat atop war elephants. If no war elephants are available, you can also engage in single combat by throwing billiard balls at each other, as did two Frenchmen in 1843, or by challenging your partner to eating a sausage, as one prominent scientist supposedly did to Otto von Bismark in the 1860s. Children's card games are a good way to demand satisfaction. 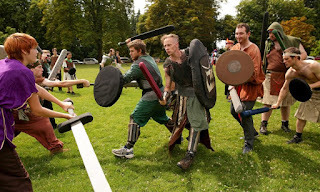 It became clear that single combat and dueling was far too great a topic for a single blog post and I would have to limit myself. For this single article, I choose to focus on southern North American pistol dueling. This type of dueling, which is the kind you're likely most familiar with, hit the height of its popularity between the 1770 and 1870s. It was part of a cultural "honor code," which nowadays we'd probably call toxic masculinity, especially since a lot of psychologists have noted that honor codes tend to make people more trigger-happy, both literally and figuratively. It makes sense. Why buy a dueling pistol if you're not going to demand satisfaction with it? Prior to the rise in popularity of dueling pistols, men carried swords by their sides. Dueling pistols were rather more convenient in terms of a weapon to hang from one's belt. Dueling pistols referred to a fairly specific type of pistol. They came in matched sets to ensure the stakes were equal; they had a small bore, designed to wound without killing; they were flintlock and lacked sights, thus making aim dependent on the marksmanship of the person firing. (The typical ten paces, which would be 16 to 18 feet apart, was not really very far, and from that distance, you could easily hit someone if you had moderately good aim.) The standard dueling pistol is described as "a 9 or 10 inch barreled, smooth bore flintlock of 1 inch bore, carrying a ball of 48 to the pound." Dueling pistols were closer to BB guns than modern day handguns. Because, ultimately, people who engaged in duels most likely did not want to actually kill each other. And in fact most of the duel rules involved attempts to settle the dispute. 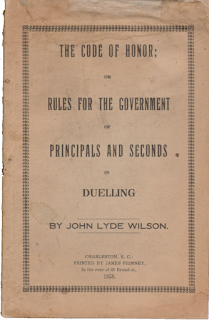 Once challenged to a duel, both parties would appoint a "second," whose job it was to do everything within their power to reach a negotiation between the two parties who were dueling. The seconds were middlemen and while there was no direct communication between dueling parties, the seconds were bound to attempt to rectify the dispute as well as compromise on the duel conditions in such a way that would be satisfactory to both parties and the least likely to actually kill anyone. The seconds arranged the when and where of the duel, relaying messages between the duelist and the second of the other duelist. (Hilariously, they also agreed upon a dress code and whether or not refreshments would be served.) 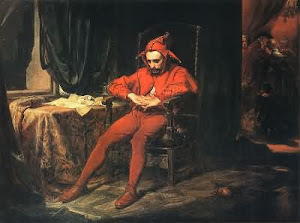 In 1864, for example, Mark Twain was nearly in a duel with his editor, but the dispute was resolved through Twain's second (who lied about how good Twain's aim was). 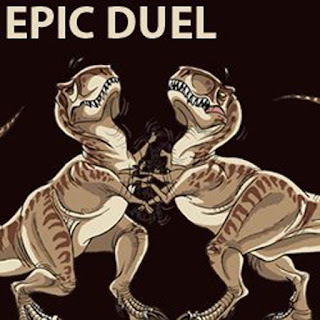 Despite all the attempts to resolve disputes and all of the rules designed to make duels fair and sportsmanly, people died all the time. In fact, according to the Smithsonian Magazine, between 1798 and the Civil War, the U.S. Navy lost two-thirds as many officers to dueling as it did to more than 60 years of combat at sea. 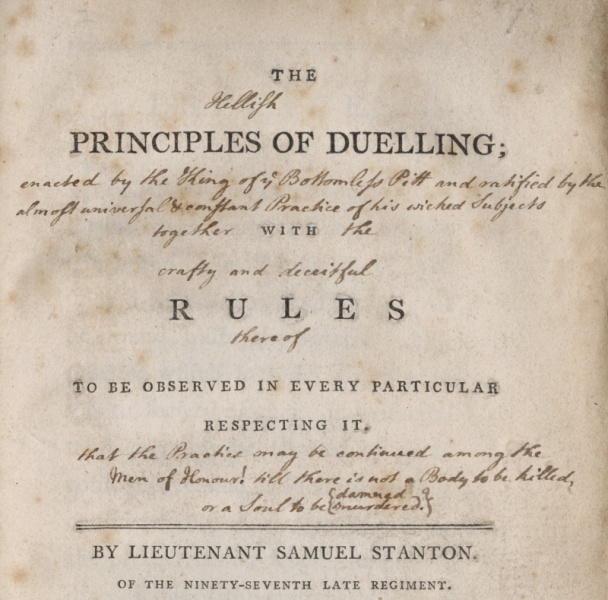 George Washington himself told officers not to accept duels, as he felt it was a needless loss of soldier life. Death by pistol dueling is no laughing matter. Unless it's a clown duel. But that didn't stop Hamilton and Burr, whose famous duel we are singing over two centuries later. Burr issued the duel and Hamilton accepted despite claiming to be morally against dueling. In most accounts you'll read, Hamilton fired his pistol to the sky, throwing away his shot, while Burr shot Hamilton, resulting in his death. (Hamilton's son, Philip, had died in a pistol duel as well, three years prior.) Generally Hamilton is lauded for his actions, which people see as noble. But there's more to it than that. See, first of all, the dueling pistols were not standardized. They bore hidden hair-triggers, as well as sights. Sights (what we, in modern times, would call scopes) tend to be banned from pistol duels because they ensure that blood is drawn. The whole point of a duel is for the shot to be based on the accuracy of the firer, and having an aiming mechanism renders that pointless. As for hair-triggers, well, a hair-trigger allowed for a person to fire faster, using less pressure on the trigger, giving an advantage to the firer. 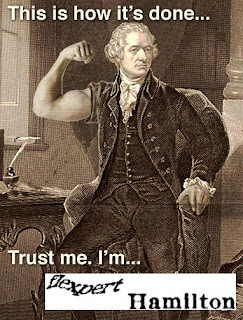 The guns used by Burr and Hamilton belonged to Hamilton's brother-in-law, and Hamilton knew about the hair trigger. Did Burr? Also, why use guns with two illegal modifications when Hamilton already owned two standardized dueling pistols without those modifications? And why would Hamilton own two sets of dueling pistols if he was as against dueling as he claimed to be? My point is, Hamilton was far from perfect. Then there's the matter of the glasses. Hamilton famously wore glasses to the duel, and made a show of adjusting the glasses, looking through the sight, and fiddling with his weapon before the duel. He gave every indication that he planned to shoot Burr. Burr had very few nice things to say about Hamilton. 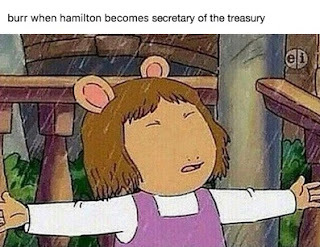 Side note, I looked up so many goddamn Hamilton memes for this post. It's worth noting, by the way, that there's a practice of sacrificing your shot called deloping. Although forbidden by the 26 Commandments, this practice is common enough to have a name; it involves shooting one's pistol to the ground. This signifies that you don't want to shoot your opponent, but you have enough honor and manliness to have faced him on the dueling field. Shooting at the ground is a great way to throw away your shot because you aren't raising your arm, a gesture that could easily be misinterpreted as aiming to fire. If Hamilton intended to throw away his shot, which would go against the code duello and also be an ironic twist to the Hamilton lyrics "I am not throwing away my shot," then why didn't he delope? Some argue that perhaps he did intend to shoot Burr and, the wide shot was a result of the hair-trigger, which would have made the gun far touchier. And still others argue he was attempting to discredit and politically destroy Burr by having Burr hurt him in a duel. Never fear. If you're the type prone to blood-lust, there are still circumstances where you can get that energy out. Dueling was present at the 1908 Summer Olympics (with non-lethal wax bullets). 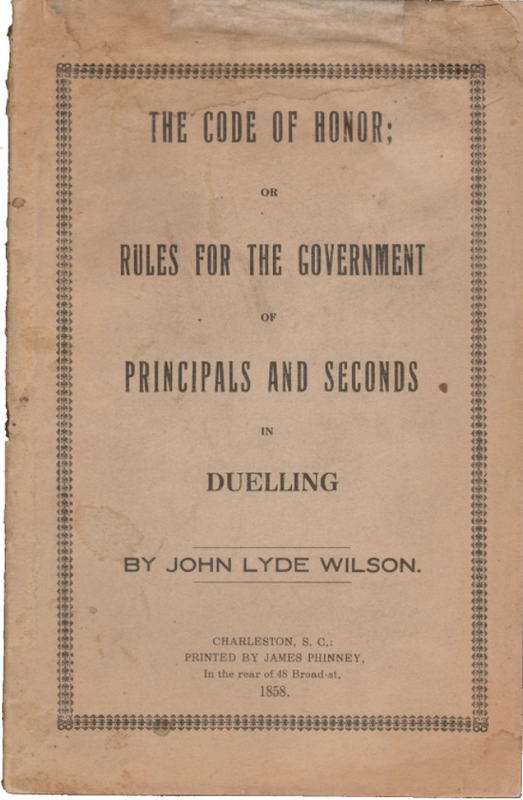 If you Google "Texas mutual combat law," you'll get the following information: "In essence, dueling is still legal according to sections 22.01 and 22.06 in the Texas penal code. The law states that any two individuals who feel the need to fight can agree to mutual combat through a signed for or even just verbal or implied communication and have at it (fists only, however)." It would be easy to scoff and say it's a "Texas thing." After all, Texas is well-known for its love of guns and machismo culture. They invented the "quick-draw" style of dueling. But it's not merely Texas. Washington state allows for mutual combat (with police referees!). And in fact, there is no official federal law that bans mutual combat in the United States. That's right. Single combat is still a thing. It probably always will be. Because human refinement only goes so far, and even the greatest among us, even brilliant minds like Hamilton and Twain, occasionally succumb to their more primal instincts. We think humans are special because we're enlightened. But suppressing our base instincts doesn't make us truly enlightened. We are a double-faced species; we pretend to be civilized but when you get right down to it, all humans have a capacity for violence. But enjoying fighting does not have to be opposed to our own humanity. The primal urge to physically defend ourselves when we are offended and the desire to be "enlightened" are not mutually exclusive. The question is not whether or not we should duel. It's whether or not we can find safe outlets for our natural love of violence; it's whether or not we can settle disputes in ways that don't result in death. Jell-O wrestling, or gladiatorial nerd combat with foam weapons, for example. 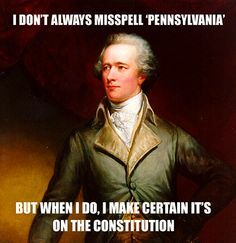 As the founding fathers intended. I think that the 1908 Summer Olympics and mutual combat law are on to something here. Hamilton didn't have to die in his duel with Burr. If they had used wax bullets, or engaged in pugilism instead of pistol dueling, then who knows what more Hamilton and Burr would have accomplished in their lives? 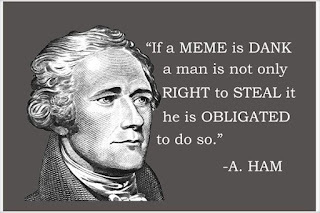 The Duel Commandments were written for a reason. They were an early attempt to rectify our natural love of violence with our social and civil need for law and order; they were an attempt to remove the impulsivity from violence. The dual nature of the duel commandments is not paradoxical to me. I think we can eat our cake, and have it too. There is a way to harness violence, and turn it into something that is not destructive; we just need to put our anger aside long enough to think outside of the box. What makes us human isn't our lack of emotions, after all, but how we choose to act on those emotions.